The Senior Manager of Cloud Engineering will lead a high-performance team of technology professionals who are passionate about technology and proud of the service they provide to the global wellness community. 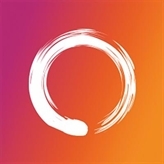 You will be responsible for continued leadership and direction of the MINDBODY Cloud Services offerings and its evolution as part of the cloud strategic technology transformation initiatives of MINDBODY. The pursuit of continuous improvement, a modernized technology stack, efficient, elastic hybrid-cloud services, and motivating an agile culture are some of the challenges ahead in achieving scalability. Provide thought leadership for managing transformation to cloud technologies and communicate cloud feature adoption through strategic roadmaps. Develop DevOps processes and procedures to rapidly transition new Cloud Services into production. Create a framework for onboarding and launch a partnership program with the cloud service provider that includes technology and architecture collaboration, requirement setting, and support for early adopter teams. Responsible for managing and optimizing Cloud costs. Ensure existing and all future Cloud services are highly available, scalable and secure. Work with architects and software engineering leadership to develop and promote the adoption of large-scale cloud services, architecture, and standards. Provide support services and training to product development teams to aid their consumption of cloud services and ensure adherence to best practices and standards. Create and continuously improve new and streamlined management processes based on the new practices and patterns needed for cloud-based services delivery. Manage a team that assists development groups in the accelerated adoption of cloud technologies and associated CI/CD tools and methodologies. 5+ years of experience in leading/managing enterprise-level technology projects. 3+ years of experience in leading/managing cloud-based technologies (PaaS, IaaS, Cloud Infrastructure Services). Experience leading transformation and transition of IT organizations from the classic data center to open cloud service. Previous experience working with container orchestration tools (Kubernetes, Docker Swam). Strong understanding of scripting languages (PowerShell, Python, Perl). Experience in establishing the architecture and best practices in a large-scale distributed system environment. Proficient in platform design, architecture & administration and use of CLI tools. Proficient in Git and similar \repository management. Familiar with Linux, microservice & emerging cloud resource monitoring and performance analysis tools. Familiar with database concepts and SQL. Proven ability to establish and articulate a vision, set goals, develop and execute. Strong technical background in Cloud Infrastructure, with previous experience as a high performing individual contributor. Senior Manager of Cloud Engineering at MINDBODY Inc.